Most of the companies that are doing social customer service well are on the journey. This means they have focused on a few solid channels and work to create a strong process to enable customers to interact with them on that channel. MailChimp is one of those companies. The company serves many of the world’s small businesses as the preferred email marketing solution. It was founded in 2001 and by June 2014 10 billion emails per month were sent through MailChimp. Most of these MailChimp customers are small businesses but some are larger too such as Uber–a company known to use the service. They’ve launched and operationalized a strong social listening and response customer service program to serve their many customers. 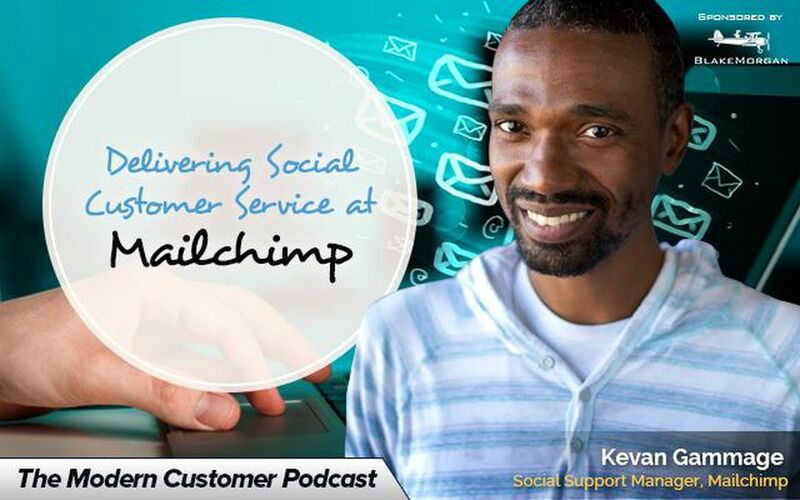 In this podcast I talk to practitioner Kevan Gammage, MailChimp’s Social Support Manager who gave our listeners on The Modern Customer podcast a unique view into the daily ongoings of social customer support at MailChimp.